Bulgur has so many uses in recipes as well as a great breakfast alternative to oatmeal. I use it as a thickener for soups, casseroles and quiches. We often go back to our family traditional use of bulgur in our turkey stuffing on Thanksgiving Day. Growing up with Tabbouleh at the table we try to keep bulgur on hand in our pantry for our Greek dishes. Bulgur is a wheat that has a high nutritional value with a soft chewy texture. It often comes in coarse, medium, and fine varieties. Look for bulgur in the grain section, near the rice of your store or in large bins in your natural food stores. Add bulgur to your cold salads salads. In place of white rice in your pilafs. Add to breads and baked goods for a crunch. Mix bulgur into meatballs and meat loaf. But, take a look at the how the bulgur looks in the steps below as it cooks. Set out all the ingredients on a sheet tray. Add the water to the saucepan and bring to a boil. Add the bulgur, stir and cover and set aside. In a small saucepan (or the same one-washed out) add the orange juice and zest. Bring to a boil. Remove from the heat, steep for 10 minutes. Fluff the bulgur with a fork and mix in the fruit and juices. Serve warm! An easy grain to cook and add to several of your dishes.Add bulgur for extra nutritional benefits to your soups, meatballs, and salads. Rinse and drain the bulgur. Bring 1 cup of water and salt to a boil in a heavy saucepan. Stir in the bulgur, cover, and remove from the heat. Leave the bulgur to steep, covered for 15 minutes. Drain off excess water, and fluff with a fork. Adding fruit to your hot bulgur cereal gives breakfast a nutritional boost for your morning. 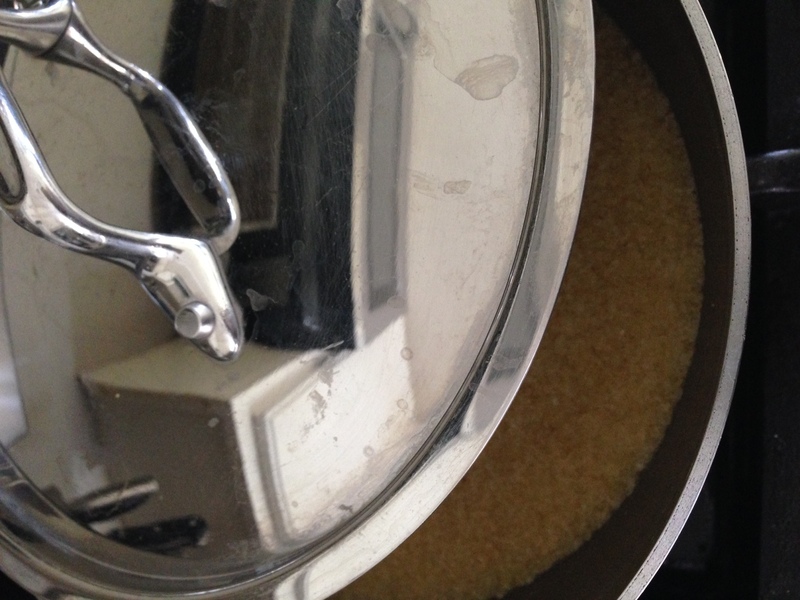 Make the bulgur recipe and add the brown sugar and butter to the water before adding the bulgur. 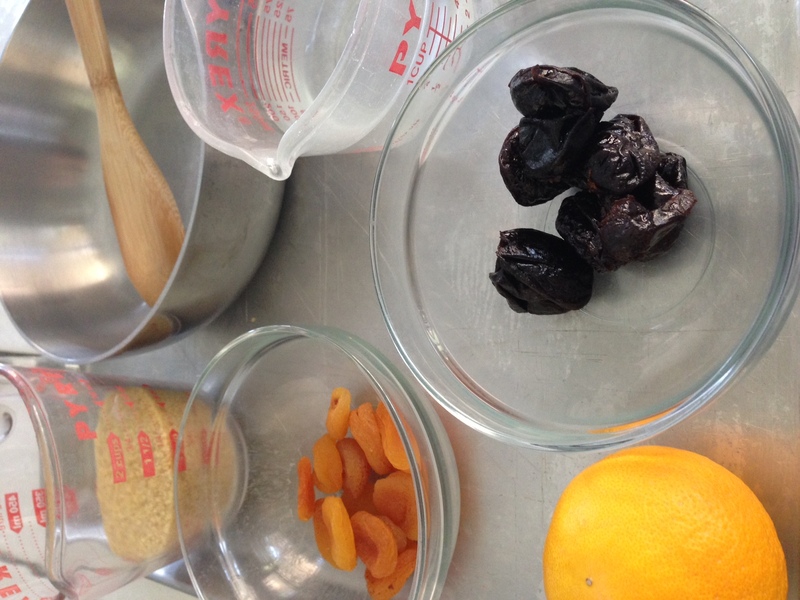 While the bulgur rests make the fruit mixture. 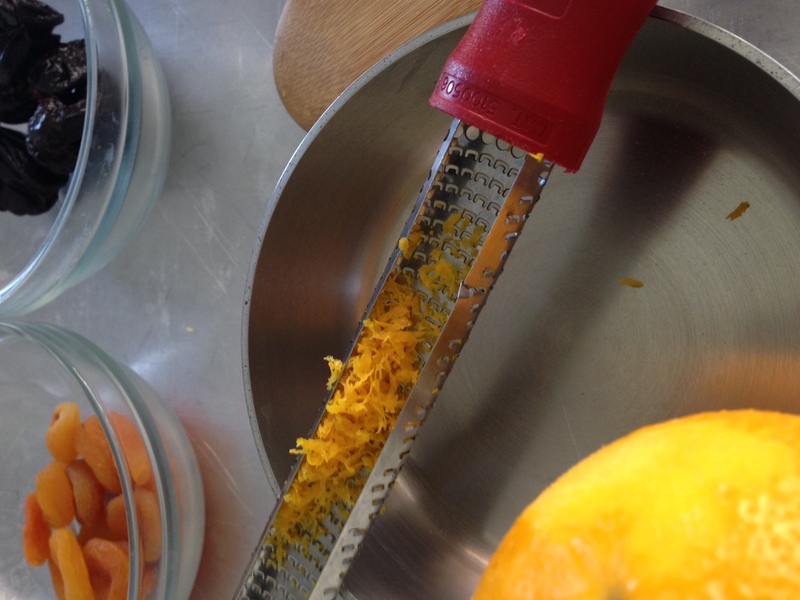 In a saucepan, bring the orange zest and juice of the orange to a boil. 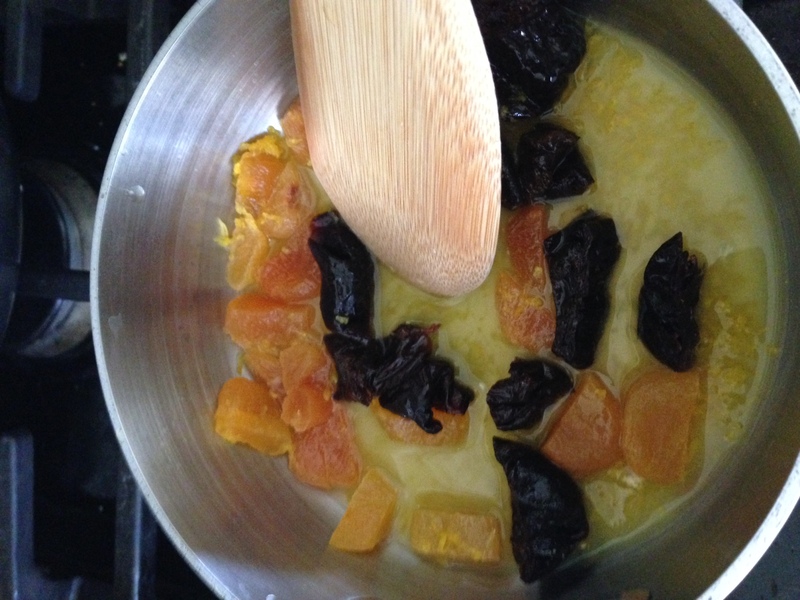 Stir in the prunes and apricots and remove from the heat to steep for 10 minutes. 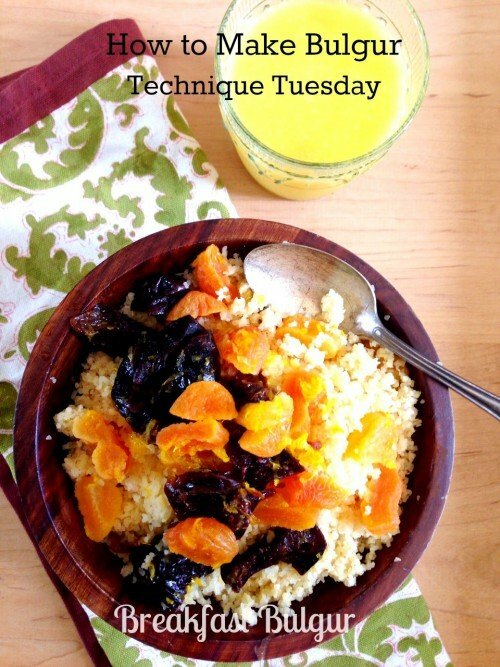 Stir the warm fruit and juice into the warm bulgur. I love the versatility & simplicity of bulgur! Such a great grain to have on hand. The sweet orange infusion is something I must try! Thanks for sharing! Hi Wendy Jo! I was tired of oatmeal and decided to try bulgur, a staple in our family.